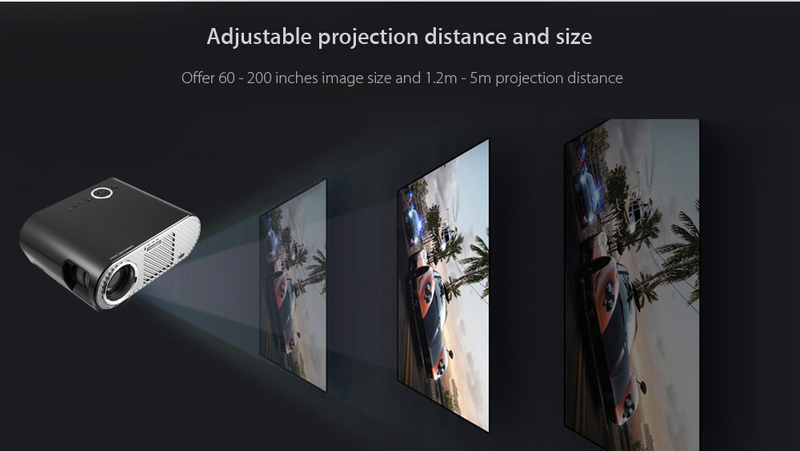 ● Ultra-large projection size ( 138 inch ) for ultimate viewing enjoyment. 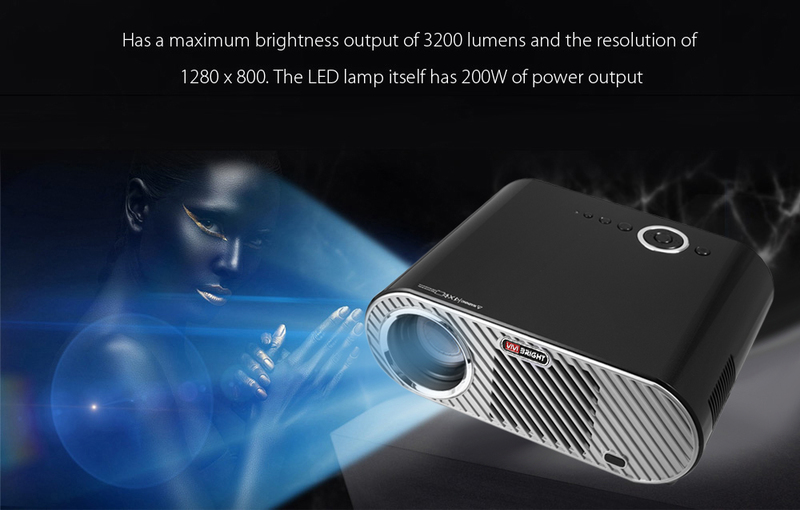 ● 1800 lumens, the higher power of the LED light source has enough optical efficiency. ● 30000 hours of entertainment. 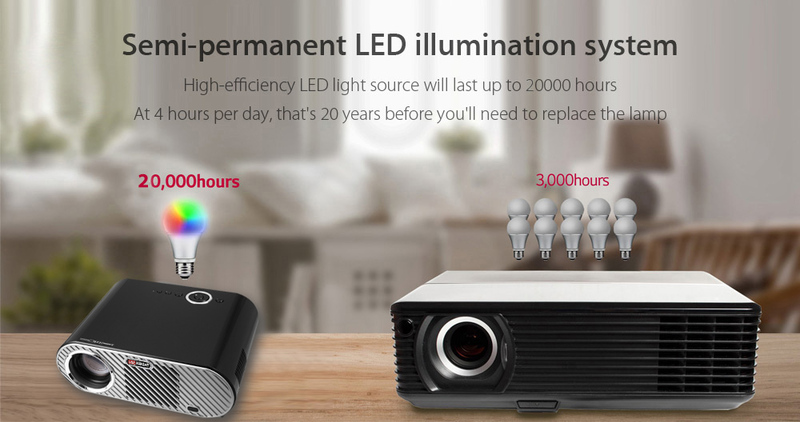 It means that the lamp does not have to be replaced for 10 years even if the projector is used 8 hours every day. 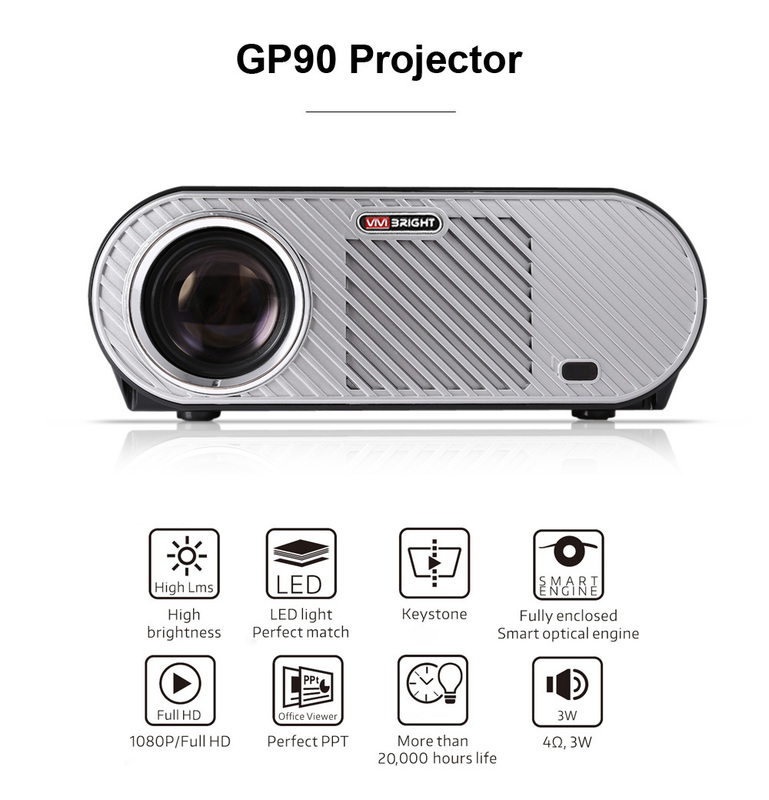 ● 1208 x 800 Pixels Physical resolution can help you save 50 percent bandwidth resource, and deliver razor-sharp detail and vibrant images. 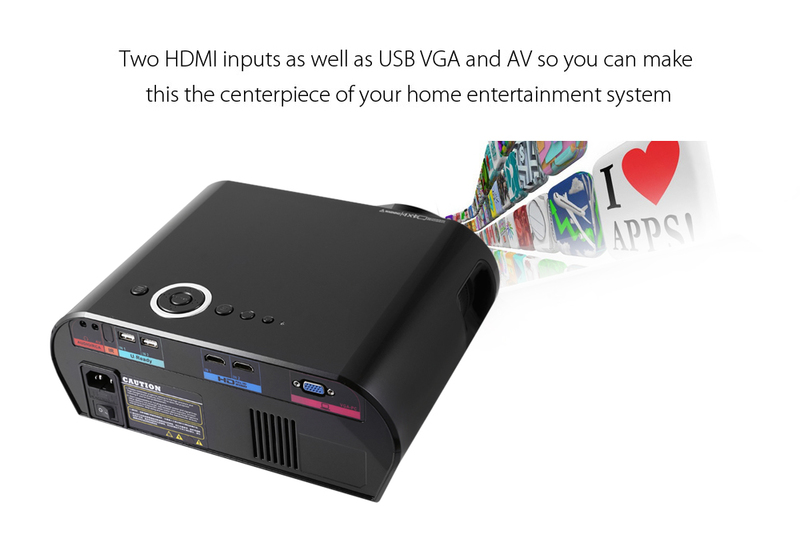 ● mart devices (no need cable),WIFI Wireless Push (EZCast/Miracast or by Airplay). 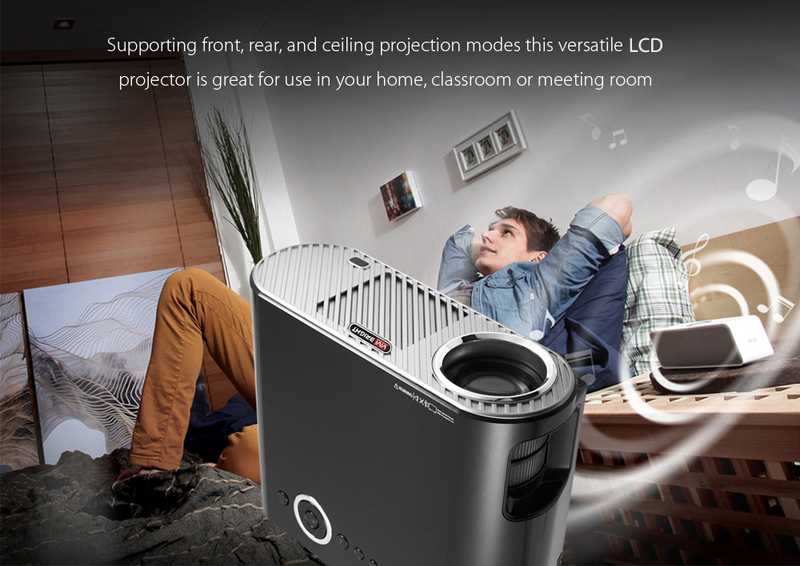 ● Built-in speaker with stereo sound experience. Immerse yourself in the musical sound and relax.